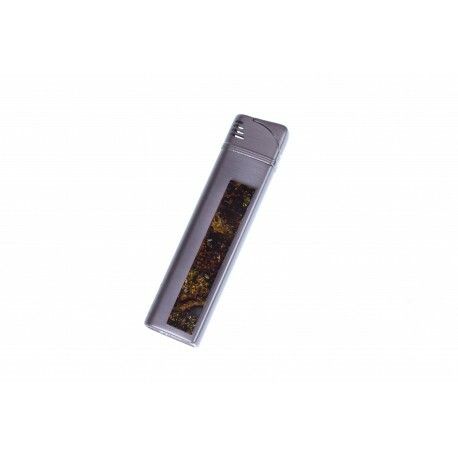 A lighter decorated with a beautiful mosaic of the Baltic Sea amber. The lighter should be filled with gas. The pattern and shade of the amber's mosaic can slightly differ from the shown in the photo.